C0817. 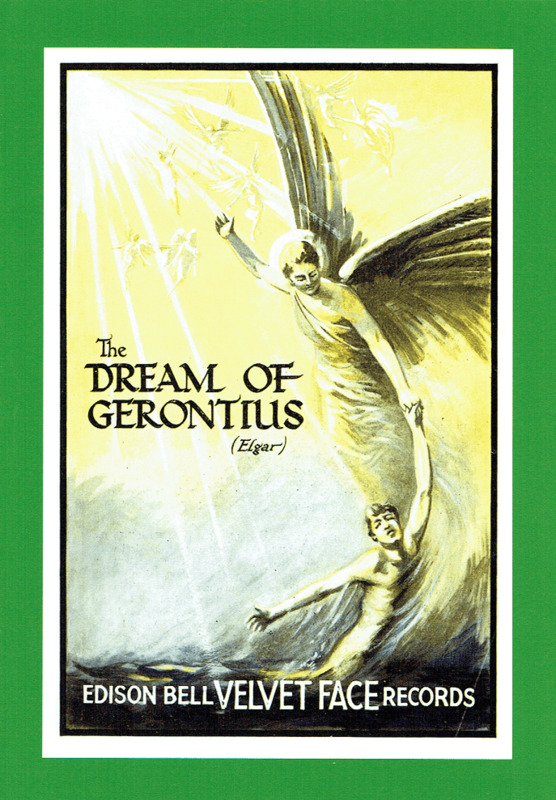 THE DREAM OF GERONTIUS – Excerpts (Complete, as recorded) (Elgar), w.Joseph Batten Cond. Royal S.O. ; Edith Furmedge, Dan Jones & David Brazell. (England) Palaeophonics 100, recorded 17 Feb., 1917, Edison Bell. 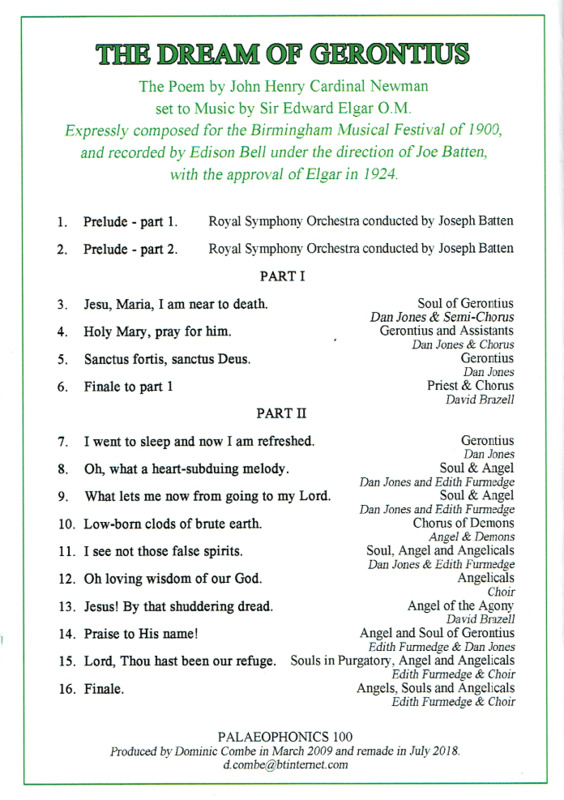 Complete, as Recorded, w.Elaborate 16pp. Brochure replete w.photos, illus. & complete texts. Newly transferred in 2018 from the legendary Edison Bell 'Velvet Face' 78rpm rarities.